“CHRISTIANS…Don’t read this!! !”	Can miracles change the unsaved? Could anything else could have caused Jesus suffering? 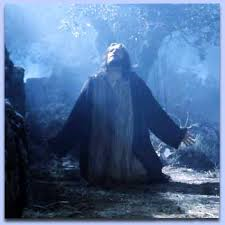 Jesus was fully man when He was on earth and felt many human emotions including…..suffering. 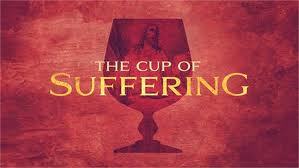 My thoughts about Jesus cup of suffering….. Many interpret this passage as all the awful things Jesus Christ was getting ready to endure in the entire events of His, betrayal, torture, having God His Father turn away from Him as He took on our sin and execution…. And I agree with this assessment. But there is another reason that I believe that may have caused Him a great deal of suffering because I just felt what He may have felt all these years later….the rejection of His sacrificing His very own life for our sins. What if some of His suffering was that He knew some people would NOT accept what He was about to do for them and people in fact are going to reject Him? Oooooh how this must have hurt Him? He had already experienced a great deal of rejection during this time. How can all those people be praising Him and waving palms at Him one day and be yelling for a criminal to be freed from jail and shout for Jesus to be killed in His place? I was speaking to someone about their relative today who is very old and sick. I mentioned to them that I hope they know the Lord. We got into a heated discussion about… “There is only one way to heaven”. They said…” I can’t believe God would send this wonderful woman to hell because she was so good”. She feeds the poor and does all kinds of great things for others and is such an outstanding person. I said to this person…”we can’t get to heaven from good works that there is a gap between humans and God and that’s where Jesus comes in…that we need Him”. This person got even more upset. So I said these are not my rules they are in the bible…they’re God’s. I can tell they were thinking or maybe they said it to me that… what kind of God would do that? Of course we know all humans have a choice in what they want to believe. I saw and truly felt the rejection today….not just from this person…but from all who reject the gift of eternal life from God. After all they are rejecting my Father and His gift. It hurts to know someone I know may be destined for…..Hell. Yes it sounds harsh…but it’s the truth of God’s word. If one does NOT know God…who He really is then this is how you will think….that God is not…fair! When you understand the total scope of who God is….when you understand His holiness, His mercy and His Justice….then you will “get it”. Until then you are like a blind person spiritually. Nothing anyone says contrary to your view can change your thinking. It’s not until you turn into a…”seeker” that anything will begin to get through to your heart and mind. Until then us Christians will seem like overzealous fanatics trying to indoctrinate you to some strange beliefs or myths. In our minds and hearts…us Christians…. We are trying to share our knowledge of Jesus to save you from going to….here goes that word…”hell”. I’m very shy and introverted…..Why in Pete’s name would I put myself out there for all the negativity? Why do I even give a hoot and nanny about you and your family? I could say… well I know where I’m going so the heck with you! You all can go to hell if you want to! I know that I was a sinner and needed to be saved from eternal damnation and I’m so glad Jesus forgave me. I was forgiven and I am so loved by God. I’m so blessed that I turned around and saw the world…the unsaved behind me and I’m running back to tell others about my good fortune!!! I care about you!!!! The bible also tells us to love others and share with them the good news of Jesus Christ….But I tell you I want to tell others because I’m sooooooooooooo blessed and want you to be too! What if Jesus felt this pain of humans turning their backs on His generous gift? Oooooh how this must have hurt Him? Jesus came down here on earth for one purpose and that was to save ALL of us! God, Jesus, The Holy Spirit are supernatural beings and the Bible is a mystery. Only the seekers will find anything out about them. A seeker is one who is looking for answers or looking for truth. I’m not looking for any kind of argument at all and I respect one to have their own beliefs. I feel that the time is short. All kinds of unusual things are happening on this earth and most things are NOT good…everybody see’s that and I feel an urgency to speak up and speak out about certain things. Good day JuJu! About your husband who doesn’t believe….say no more to him unless he ask you a question. Just let him see Jesus Christ through your life. Treat you husband with the anointing of the Lord and your actions will be your testimony about our Lord and Savior. It could takes days or years for him to come around….but hang in there! Lord I pray for JuJu’s husband and all her family and his family memebers who are no saved. Thanks you for what you’re doing in JuJu’s life. Give her wisdom and strength. In Jesus name…amen. God bless you JuJu! Be strong in the Lord. Those words are the words i needed for a long time to hear. i talked to a few people that i feel like my spirit is telling me to tell them about salvation.i told them about JESUS is the only way to heaven, it is written in the Bible. Your words really really touched me and i will use that. coz’ it’s simple enough for me to tell others(tho’ i know some will just look at me and others will say they don’t want to hear nothing about GOD) but i just want to plant some seeds. (i cannot talk good and getting forgetful, i am taking so much meds due to my horrible painful disorder(transverse myelitis). Thanks for sharing your love and JESUS! Father God…I pray for Agnes….I ask for a complete healing for her. I thank you that you’ve been with her through all of this. Thank you for all the lessons and perfecting you’ve done in her life through this illness. We understand your thorns. Lord…she loves you so much and wants to share the good new with others. Give her boldness and the words to say. Increase her anointing. There are other things she has praying about and desires that she has also. Grant these things in the name of Jesus. Agnes God says to tell you ….your Joy will come in the morning. Oh what a day. Continue to rejoice in Him. It HAS been your STRENGHT!!! Don’t ever lose you Joy in the Lord. Share your testimony about this joy that you have. It’s your story! You live your life that way and people see that in you. You are salty in the Lord…shinning for Jesus!! Even though you suffer physically people still see that joy in you!!!! I’ve heard it theorized that Jesus suffered prior to His death because He knew that, for a time at least, His Father would turn away from Him. He knew His Father had to allow His suffering, if the Plan for Salvation was to be accomplished. For anyone to hear this Good News, to fail to diligently seek to know the One who proclaimed it, and to reject the message is unfathomable to me! I have pondered and prayed about this for many years. Knowing God’s heart for all His children, this is what I believe: It is necessary to know that Jesus came to save us. We have to acknowledge His Lordship and that He is our Savior. However, who is to say that He will not come to each and every one who does not know Him even on their deathbed as happened the thief on the cross next to Him and save them? We serve a merciful and loving Creator who does not desire any to be destroyed or go to hell. Only God can read the heart. Thanks so much for your newsletters. I have been enjoying them. Nobody is getting into heaven without Jesus no matter how great they have been on earth. The bible is God’s word to us and it is what it is. God is holy and God is just. He made these directives for us to follow. He has given everyone their own will to decide for themselves. I am stating what God Himself has said. These are not my thoughts but Gods. Some people may get time before they die to change their minds and ask Jesus for forgiveness and believe in Him… but many others die instantly. If people think God is not fair or a good and loving God because He sends people to hell really don’t know just who He is. He sends no one to hell. People can choose Jesus or not. The wages of sin is death. Romans 6:23. We CANNOT be in God’s presences if we have any sin in us which has not been washed away by the blood of Jesus. God is so holy that that person would burn up because of the purity and holiness of His nature. That is why we can’t see Him now. We would burn up like straw to a match. There is a gap between man and God and the only way to fix that gap is….”JESUS”. No Jesus….no heaven. It’s not possible! We are dealing with a Holy, mighty and power supernatural being who is the creator of all things. Those who are not God’s child cannot understand these things because when you have accepted Jesus the Holy Spirit comes to live inside of you and your eyes will be opened and you will know in your own spirit that all you have read in the bible is true. Many many people believe a good God would not be so uncompassionate to allow people to go to hell. While this thinking is ones beliefs that they are entitled to..…who would gamble with their eternal life without reading every word in the bible to make sure they are correct? Gramma Velta Thanks for reading my blog. God bless and keep you in His loving care. I always wonder about those on their death bed who do not want to accept Christ as their personal savior. It’s a scary place to be. That is a very upsetting thought. Today I got to experience it up close and personal and it’s not something I want to feel but it’s life. Oh I pray for eyes to be opened…to see what we see and know. Thank you for your comment.